What presents would younger-you want? I missed signing up for the gift swap (it was great when I did it last year) but feel in the holiday mood anyway. If you were a kid, what toy would you want the most? I first wanted scary artificial intelligence Barbie so she could be my personal robot therapist but I saw the Girl Scout cookie oven! 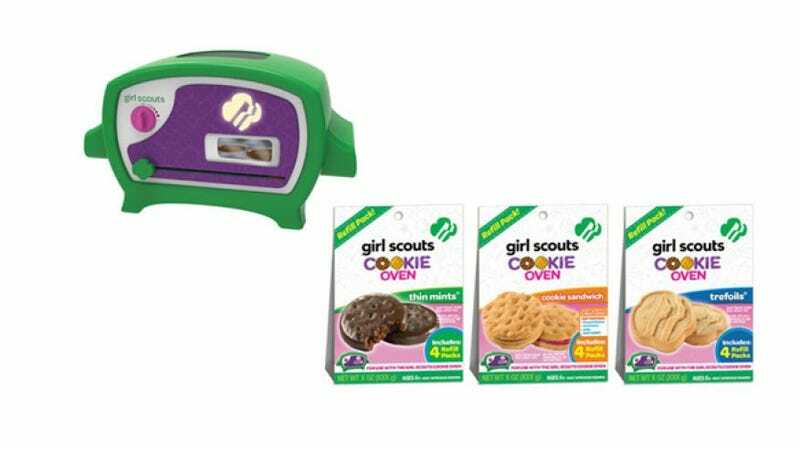 I’d totally dream about getting one so I could make Lemonades or Caramel Coconut cookies but not the perennially overrated thin mints. My mom would be like “No, those are a fire hazard” like she thwarted my dreams of getting a chemistry set. I’d probably get a doll but I’d pretend that doll was evil! So there! What about you?